If you’re not familiar with my ‘Magic Seven’ series, I dig back into the archives and uncover some of my favourite weddings from the past few years, and I select seven favourite images from each one and give it another ‘hurrah’ all these years later. I choose images that tell the story of the day or sum up the couple.. 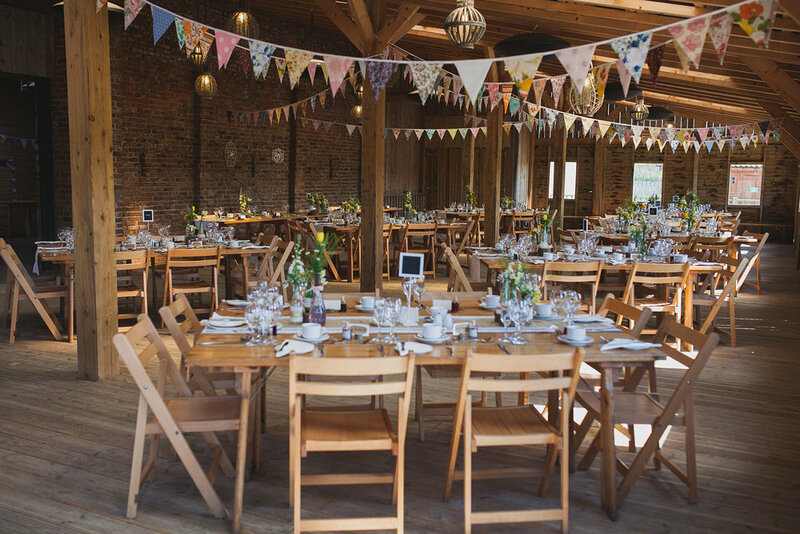 So, for the first ‘Magic Seven’ of the year.. here are Sarah and Tom and their beautiful DIY York Maze Barn Wedding! 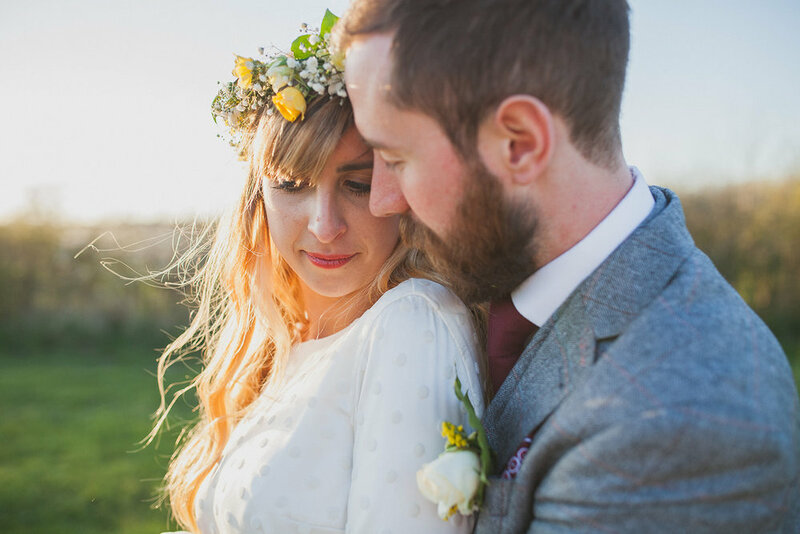 These two had a beautiful and DIY barn wedding at York Maze - and amazing venue just outside of York City - and they really made the day personal and completely ‘them’. Sarah worked for a charity shop and collected lots of beautiful bits and pieces to decorate their wedding with - there was bunting, teacups for everyone, and wonderful other knick-knacks too. 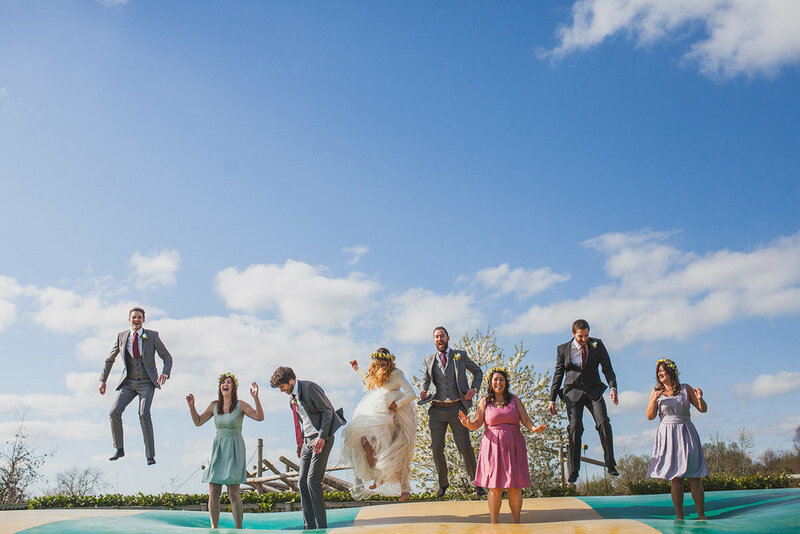 They married one sunny day in April, and their guests enjoyed the playground and the huge bouncing cushion at York Maze - so much fun. The light was just beautiful later, and even though the temperature was starting to drop, we couldn’t resist running back outside for a few more photos of these two in that golden light..
Of course, it all ended in a huge party. 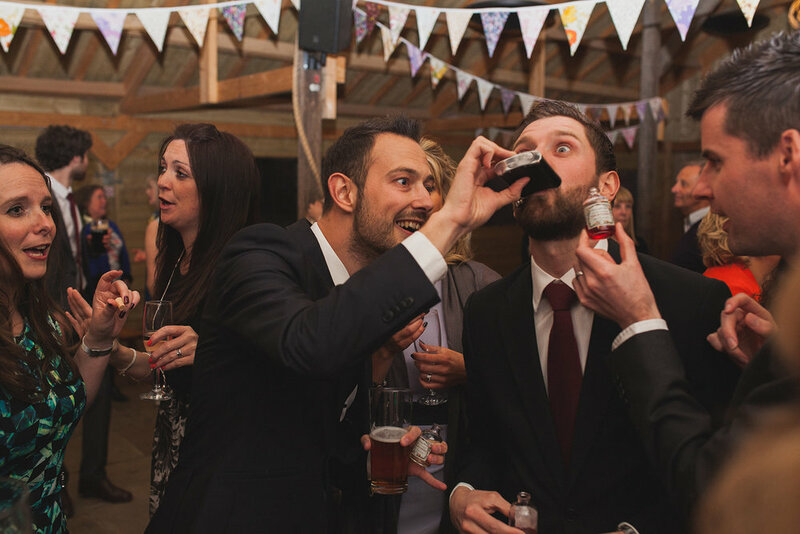 I left amongst groups of people doing shots of Jager as well as the sloe gin and cherry brandy that the couple had as their wedding favours.. I really loved working with these two and being there to capture their day (if we’ve met, you may have seen their wedding as one of my sample albums!). So here is my pick for their ‘Magic Seven’ from their beautiful Springtime barn wedding.